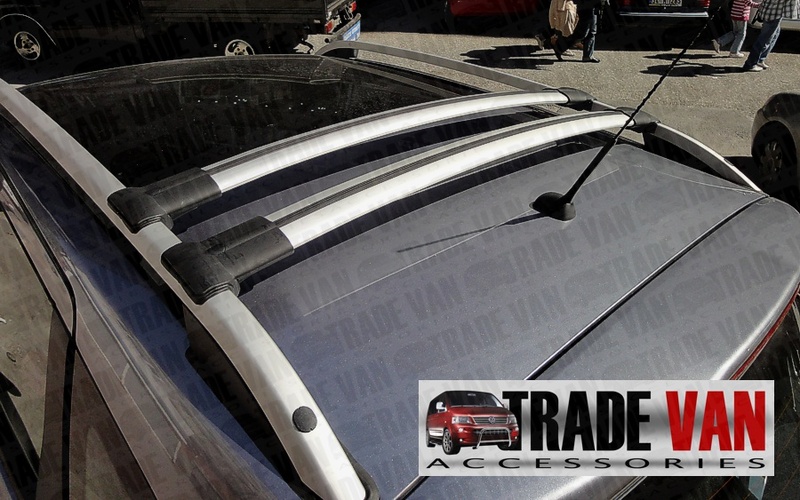 Our TX3 Sahara Roof Rails really upgrade your VW T5 Transporter Caravelle, Shuttle, Multivan, Sportline (T26, T28, T30 and T32) Vans. Does not fit any other Vehicle - Specially designed for VW Transporter Only. These are better quality than many Roof Rails. TX3 Toughline are best grade Dealer Fit Quality at Trade Prices. If your vehicle is fitted with a T-Track system this must be removed in order to fit the roof rails. These roof rails look really good on my metallic black transporter, fairly easy to fit, but would be a lot easier with a mate and another set of steps! Getting the washers to stay in place whilel locating bolt holes was tricky, ended up sticking them down with a spot of silicone, end result excellent. Must get the cross bars next. The bars look very nice, easy to fit, very well packed..... All in all a great looking set of roof rails easy to fit and a good company to deal with. These roof rails are of very good quality easy to fit and look impressive when fitted. Click the button below to add the TX3 Sahara Roof Rail Set VW T5 Transporter Caravelle SWB to your wish list.